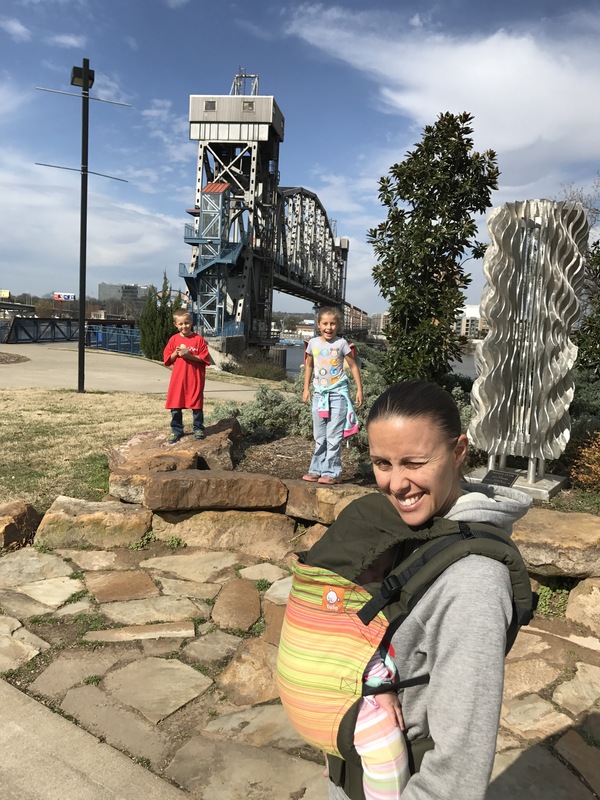 Today we explored the Little Rock, AR area and downtown. 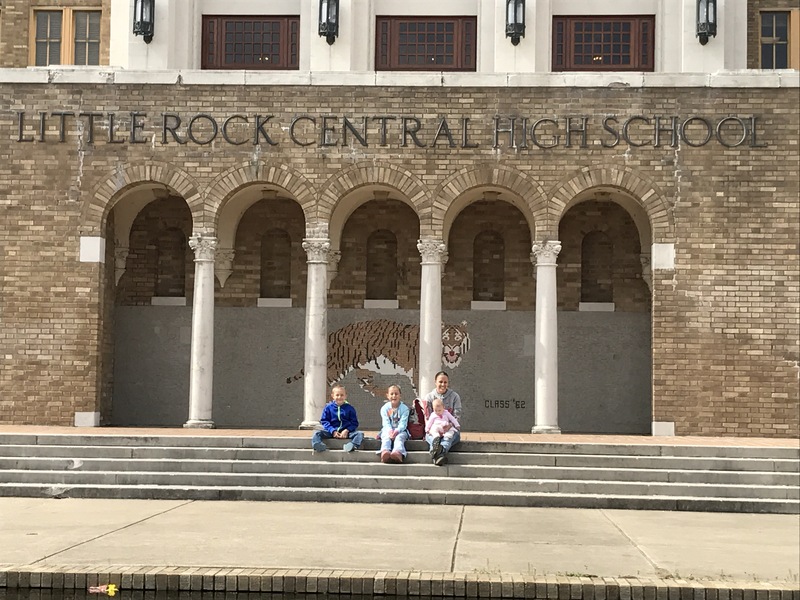 Our first stop was Little Rock Central High School (LRCH), the first integrated public school in the United States. 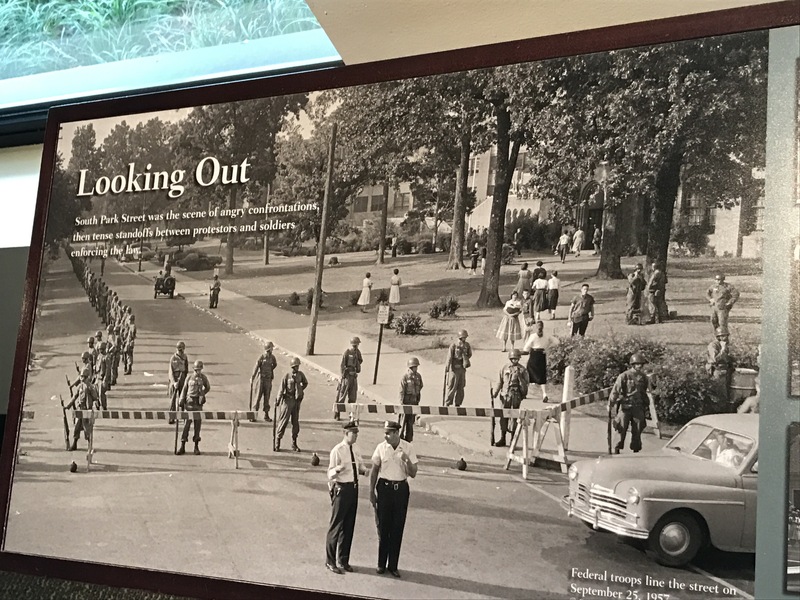 I knew about the Little Rock 9 (originally 10), but we learned additional details about the court cases leading up to the crisis, as well as the events surrounding the riots and necessity for the 101st Airborne to be deployed to protect the school and children from the hatred of their peers. It was neat to see in person a location that one has only read about in history class until now. 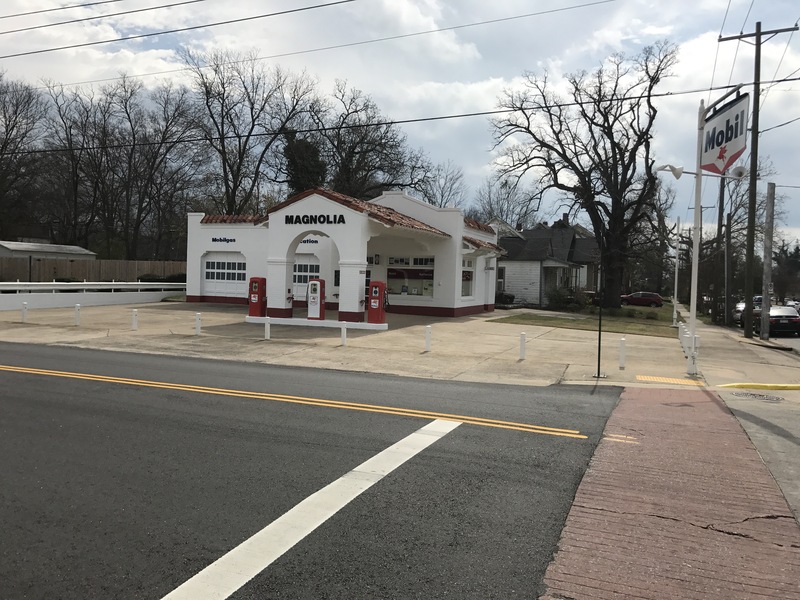 We also learned about the significance of the Magnolia/Mobil gas station across the street from the school. These are places where history has been made. 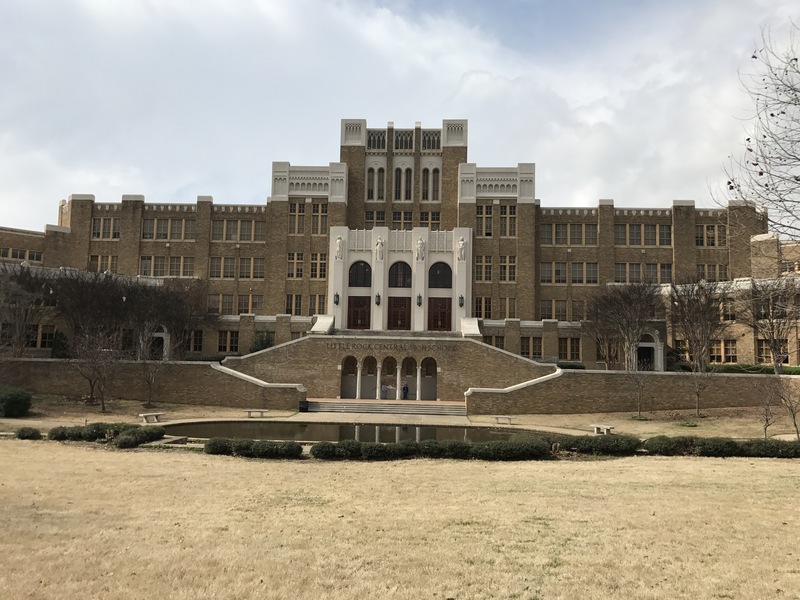 I also found it interesting that the school, while being a National Parks site, is also a fully functional high school. We were not allowed to go inside the school today because classes were in session and I had not submitted a request early enough to pass the security requirements to be inside the school while in session. I wonder if the kids attending school at LRCH ever stop and think about those who walked the halls before them. Bug also discovered this old telephone with a rotary dial. 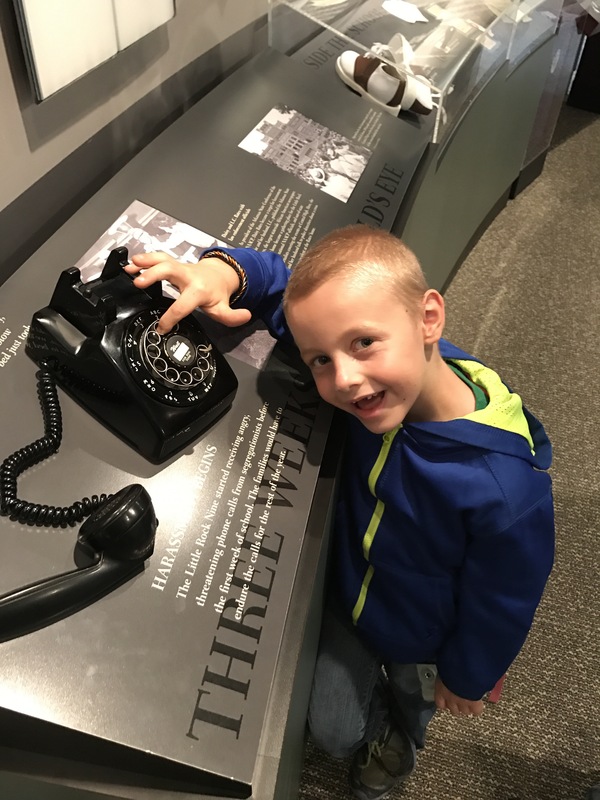 He exclaimed that it would “take forever” to call someone using the rotary dial phone! I remember making calls on such a phone growing up. 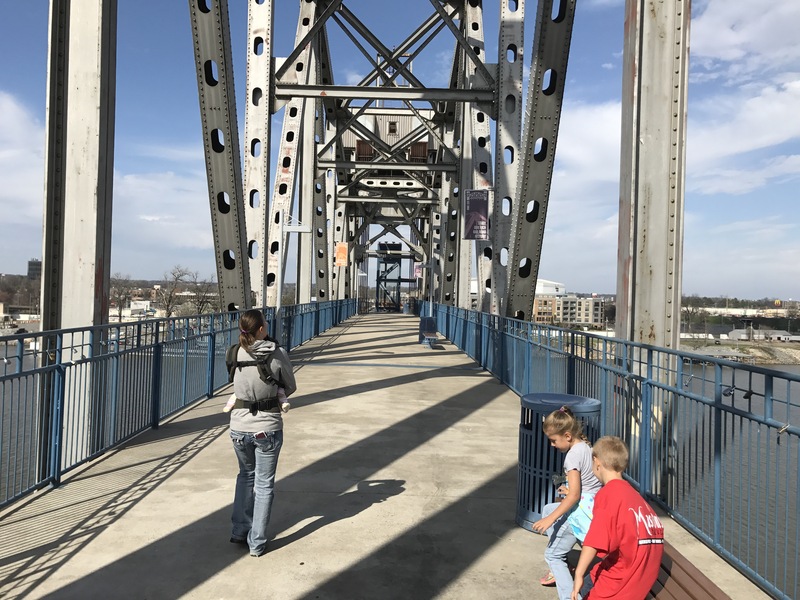 After LRCH we explored the Little Rock River Market District. 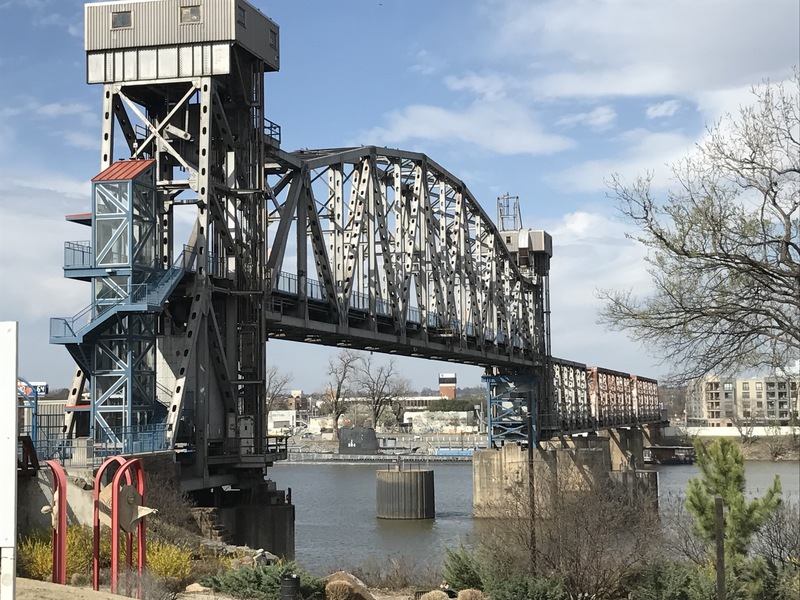 There is a riverfront amphitheater, Arkansas River Trail, Junction bridge, and the market itself. The market is similar to the North Market in Columbus, OH or the Quincey Market in Boston, Mass. There were food vendors with cuisine from around the globe. Heather, the kids, and I all had different nationalities of food for lunch. Bug even got a free T-shirt from one of the vendors, which was pretty neat for him. 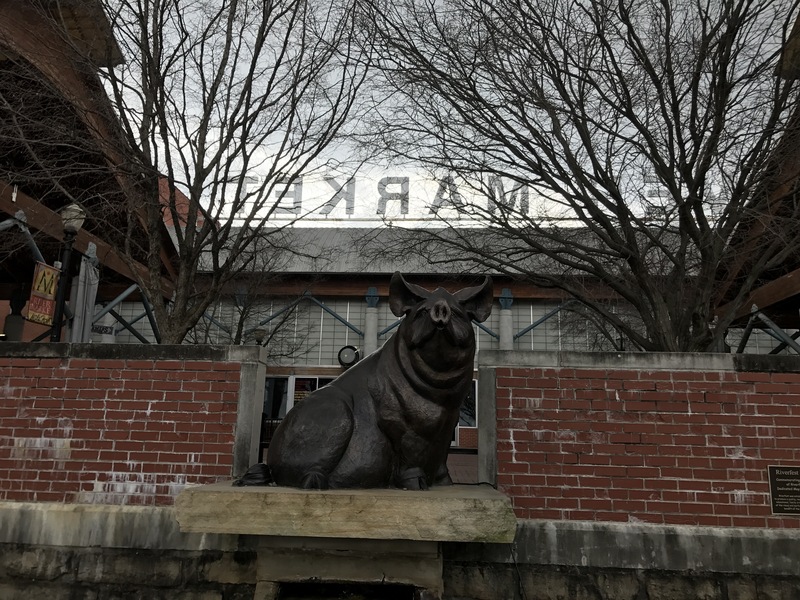 The kids enjoyed the pig statue on the river bank side of the market. Junction bridge is an old drawbridge converted into a pedestrian bridge that spans the river. It was a bit windy up on top, but a nice vantage point from which to view the area. This afternoon we went to Burns Park, a 1,700 acre park in North Little Rock. 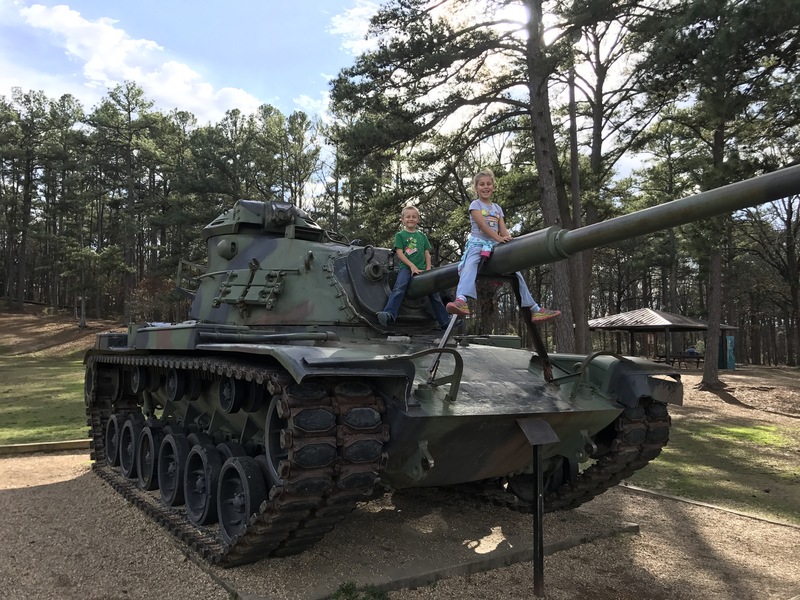 The kids loved playing on an old military tank and a rocket ship themed playground. Pie made a new friend, who she will most likely never see again, and enjoyed playing tag until she and her friend had to part company. 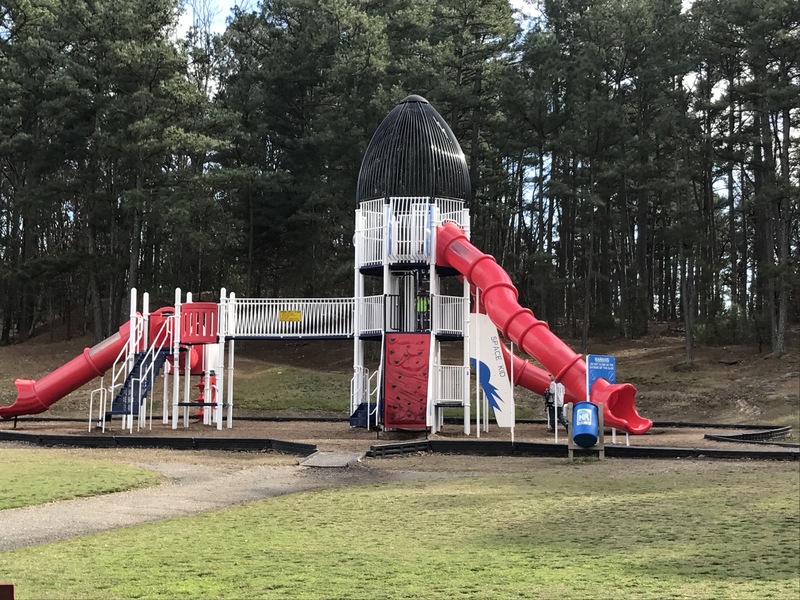 The park offered many hiking trails, rec facilities, a RV park, and even a small amusement park (which appeared to be still closed for the season). Now it is time for a late afternoon nap to catch up on lost sleep and hopefully improve the attention span of Bug. Tomorrow is another day of exploration.